A comet is a ball of mostly ice that moves around in outer space. Comets are often described as “dirty snowballs”. 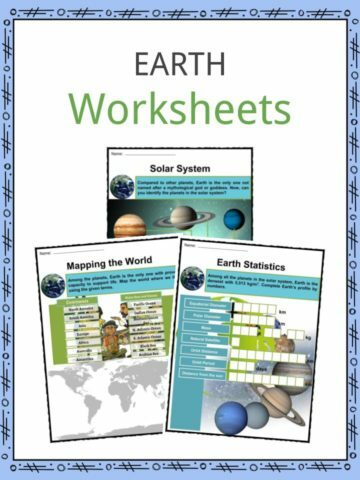 They are very different from asteroids, meteorites and meteors. 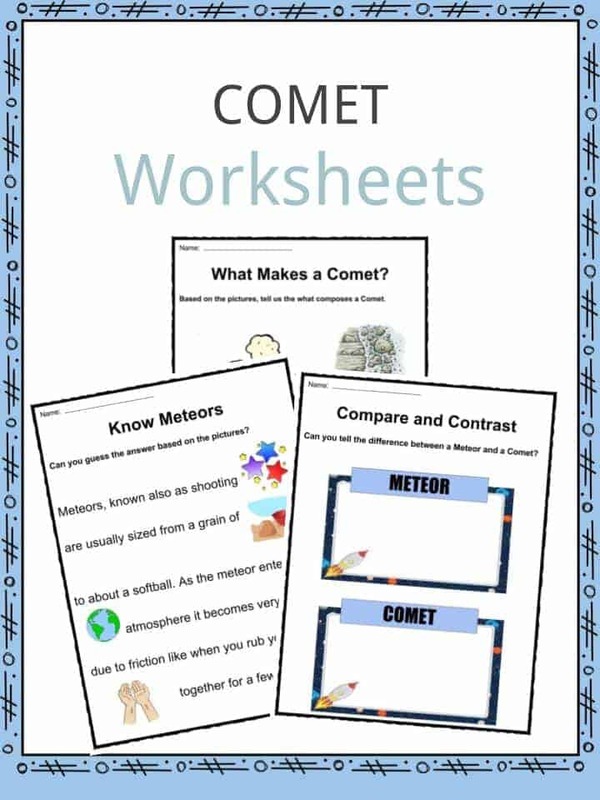 See the fact file below for more information on comets or alternatively download our comprehensive worksheet pack to utilise within the classroom or home environment. Comets are believed to be in long elliptical orbits that take them from beyond the orbit of Uranus to around the sun. The name “comet” comes from the Greek meaning “long-haired” because of their tails. 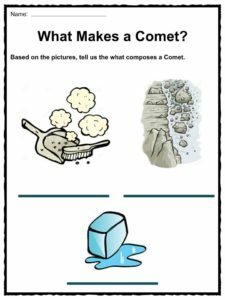 Comets are composed of ices, dust and rocky debris carried from the early formation of the solar system about 4.5 billion years ago. 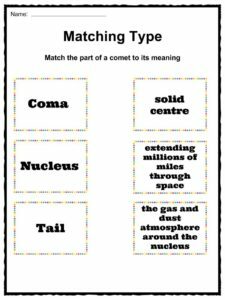 Comets have three parts: the nucleus (solid center), the coma (the gas and dust atmosphere around the nucleus) and the tails (when energy from the Sun turns the coma so that it flows around the nucleus and forms a fanned out tail behind it extending millions of miles through space). Due to the way they orbit, comets can come back into view from time to time. 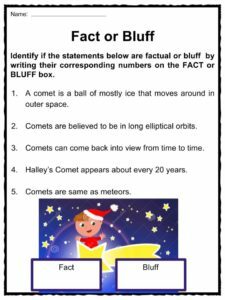 Halley’s Comet appears about every 76 years. 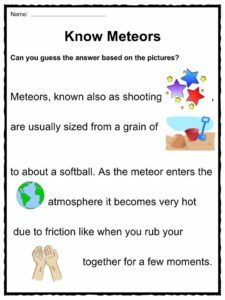 Meteors, known also as shooting stars, are usually sized from a grain of sand to about a softball. As the meteor enters the Earth’s atmosphere it becomes very hot due to friction like when you rub your hands together for a few moments. They become bright and seem to streak across the sky. 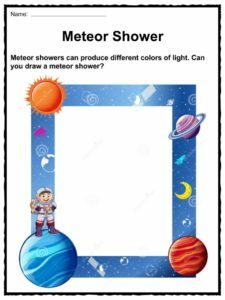 Meteor showers can produce different colors of light. 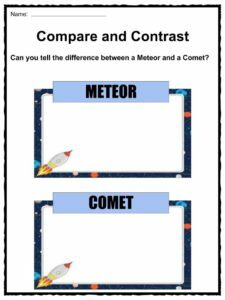 The difference in the color of light is caused by the different chemical make ups of meteors being vaporized. Meteors can travel as slow as 25,000 mph and reach speeds up to 160,000 miles per hour. When a large particle of a meteor actually hits the Earth, it is called a meteoroid. A comet could impact Earth and that is why it’s important to understand the nature of comets. By doing this, scientists can design better methods to protect us from them should one be on a collision path with Earth. 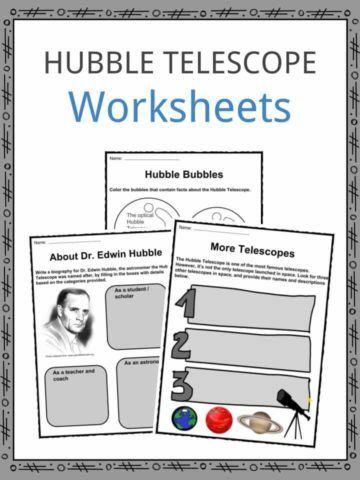 This bundle contains 11 ready-to-use comets worksheets that are perfect for students who want to learn more about comet which are a ball of mostly ice that moves around in outer space.